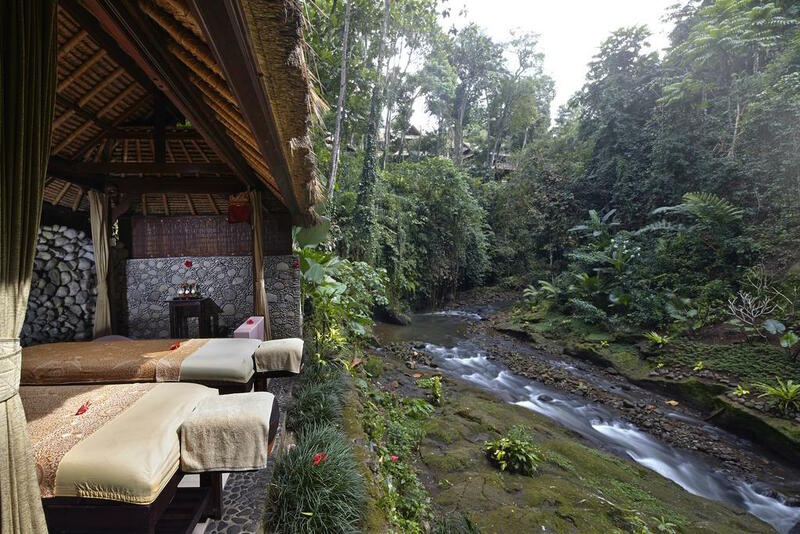 Relax at the secret hideaway located in monkey forest! 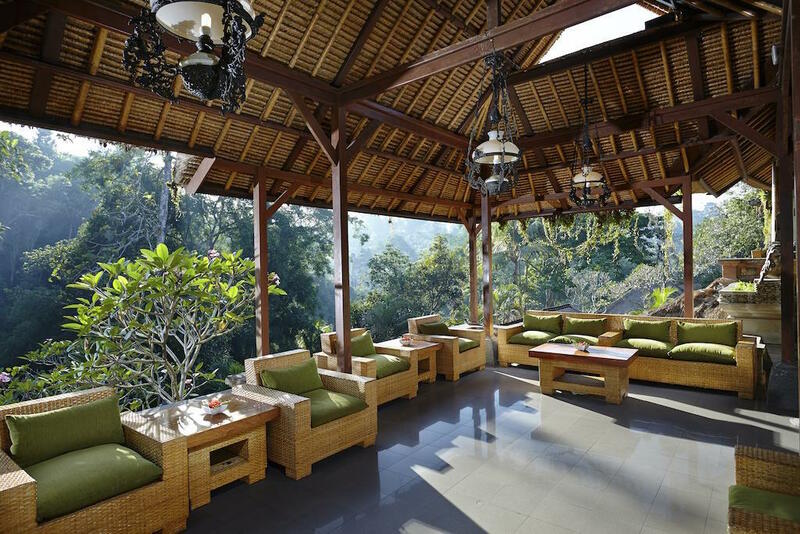 Imagine yourself on a balcony, perched high over a tropical forest. Can you see it? 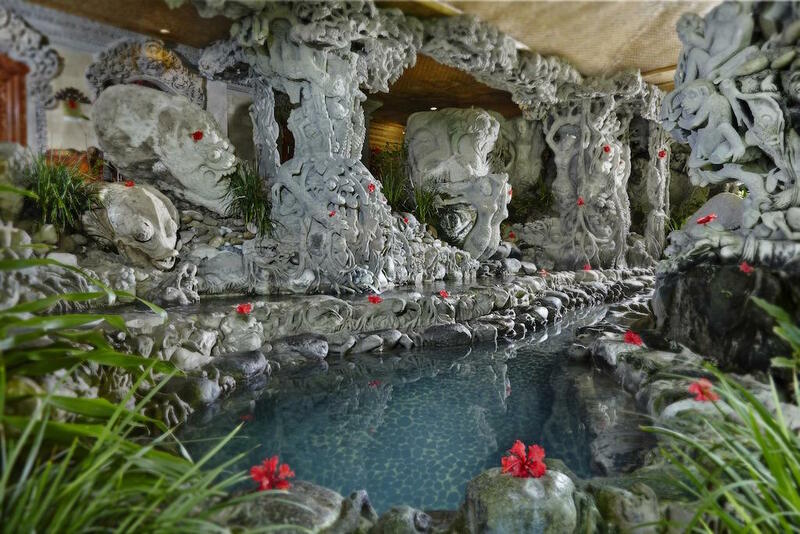 What about walking through pathways climbing to a hillside, where hibiscus reach out over statues, and mysterious wooden carvings as you pass? 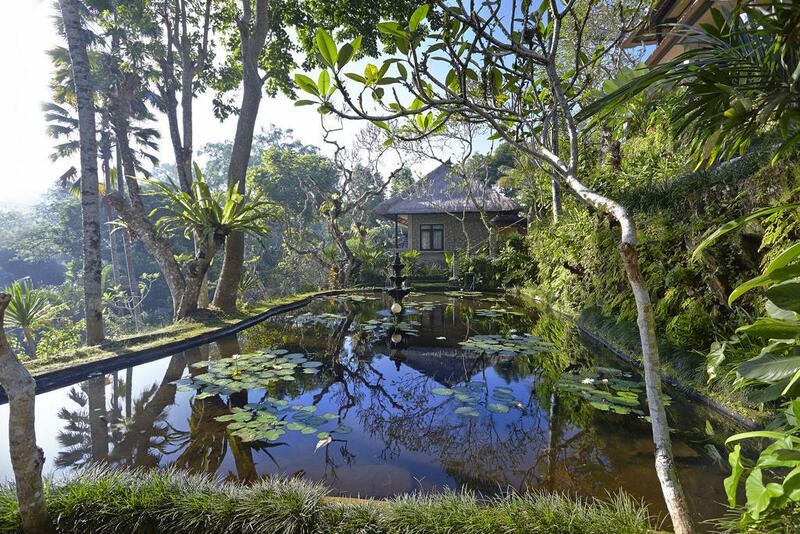 And butterflies, colorful birds, night songs of frogs and blinking fireflies between private villas and bungalows.